The average 30-year, fixed mortgage rate spiked this week, to 4.58 percent—a high not hit in four years, according to Freddie Mac’s Primary Mortgage Market Survey® (PMMS®). The average was 4.47 percent the prior week. The average 15-year, fixed rate, at the same time, was 4.02 percent, while the five-year, Treasury-indexed hybrid adjustable rate was 3.74 percent—also increases from the prior week. According to Khater, the climb in costs is not deterring homebuyers. Real estate season is underway, and house hunters have one goal in mind: a ranch-style home. According to a recent survey by realtor.com®, ranches are the most in-demand style of home this year, with 42 percent of homebuyers eyeing a rambler in their search for a home. A distant 28 percent of homebuyers—the second highest share in the survey—are in the market for a contemporary. Younger homebuyers, however, have a tendency toward a row house or townhouse—a proclivity that wanes with age, when preferences shift to a single-family home. Type of home aside, three-quarters of homebuyers are on the hunt for a two-bathroom home, and over half are out for three bedrooms, according to the survey. Homebuyers, especially younger ones with young children, are also prioritizing a big backyard in their search—an attribute that parlays into more privacy, one of the top motivations for home-buying. Another motivation, held primarily by millennial homebuyers and homebuyers aged 35 to 44, is changing family needs, such as having children. Homebuyers aged 45 and older are more motivated by retirement. A remodeled kitchen is another choice feature for homebuyers, with 80 percent ranking the kitchen as one of their three favorite rooms in their home. A garage, a living room and a master bedroom are also high on homebuyers’ lists. What are homebuyers not looking for? In the rearview are a guest house, a man cave, a mother-in-law suite and solar panels. 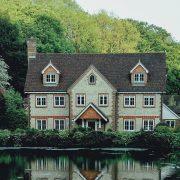 Every homeowner wants a healthy home for his or her family and pets. Making the right choices in your house isn’t always easy though. Keep reading to learn more about how you can create a healthy space and enjoy your home even more. These five tips should put you on the path. Individuals and families in older homes should consider the fact that they may have unhealthy types of insulation in the walls keeping them comfortable. If you’re not sure about your insulation, have the pros check it out first. In the case of asbestos or any other hazardous material, you don’t want to be digging around in the walls on your own. Asbestos and hazardous insulation remediation can be a big job, but for a homeowner, it should be a top priority in terms of a healthy home. Updating your insulation will also be a major plus when and if you go to sell your home. Most homeowners never think about mold until they get an inspection related to selling their home. For others, mold isn’t even a consideration until damage to the home occurs and a mold issue more or less reveals itself. Getting a mold check for your home can help your family breathe easier in the house. While most recently built homes won’t have mold, getting a check isn’t going to hurt you. 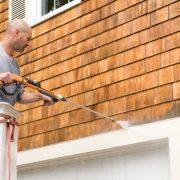 According to the Environmental Protection Agency (EPA), paint, wood stain and other varieties of coatings account for about nine percent of volatile organic compounds (VOC) emissions in the country every year. For a healthy home, look for low-VOC paint. They are water-based, low or no odor and non-toxic. While it can be hard to identify low-VOC paint on store shelves, online searches and on-can labeling should make it easy to find this type of paint if you’re looking for it. Taking your shoes off every single time you come in your home might be a hard habit to get into, but for many people, it can lead to a healthier home environment. Your home might also require a little less cleaning, which is an added benefit. If you have a mudroom or a large entryway, removing your shoes should be easy. Tracking less outside germs from your shoes into your home can also help keep pets and children with a tendency to spend time on the floor healthier all year round. 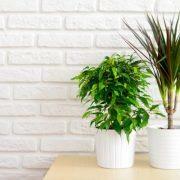 Fresh, live plants can beautify almost any space. 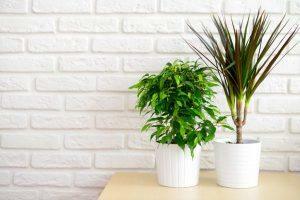 Live plants do more than just make your home look a little bit nicer though. 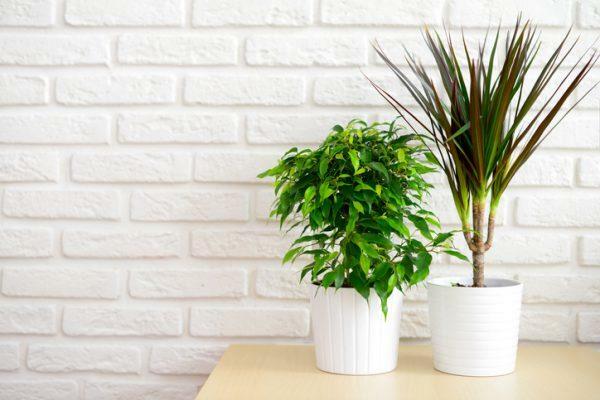 Spider plants, lilies and aloe vera can help get rid of formaldehyde in the air, and English ivy, asparagus ferns and bamboo plants can work to clean indoor air as well. Whatever plant you choose, make sure they’re not toxic to your pets if they roam free around your home. Making your home a healthier place isn’t exactly as glamorous as buying new furniture or adding a room to your house. Don’t take your home’s health for granted and you won’t have to worry as much about home-related hazards. Time to put your home on the market and that calls for a professional and professional advice for getting your home market ready. There are things to do for sure but there are things not to do or over do as well. Here are some suggestions to consider in that regard. RISmedia’s housecall has these suggestions. Automatically when you are getting your home ready for sale you think about getting a return on the investment you have made with just a few improvements. You can update appliances and make repairs to your bathroom and kitchen. Best not to over improve or be too specific in tastes. Keep your rooms useful for their original purpose so you can appeal to the most number of buyers. Make only the repairs or updates that are necessary and do not go overboard! You can over-decorate just like you can over-improve. Think about your potential buyers and keep your taste simple. Using neutral décor for your decorating scheme will be the most appealing. When your agent calls with a buyer to bring to your home, best to make yourself and your family scarce. If you want buyers to take the most time imagining your home as theirs, they need the freedom to spend time alone and not be under pressure. Should you not be able to leave make yourself scarce in a corner of the backyard. Remember selling and buying a home is a very emotional time. So don’t take things personal. If you get a much lesser offer than you expected or a request to replace the carpet that you just loved, keep in mind that the buyer just wants to do what they believe is in their best interest. Depend on your real estate professional to do the same for you. RealtyTimes® has some very good advice for avoiding Holiday disasters. Here are six tips they give. There’s nothing more relaxing and rejuvenating than a hot shower – especially during colder weather. Be sure to set your water heater to a comfortable temperature if you’re having guests stay overnight. Many water heaters sold in America have a factory setting of 140 degrees, but dropping down to 120 degrees will still provide a warm shower. Reduced water heart temperatures will help you avoid scalded guests and higher utility bills. Slick or poorly lit walkways can be hazardous to grandparents, older aunts and uncles and young children. Remove snow and treat icy conditions before your company arrives. It’s also important to provide adequate lighting. Security lights and solar-powered lamps lining your walkways will help you eliminate dangerous conditions. Avoid flammable decorations: Paper, lace and fabric decorations look beautiful, but they can pose a threat to your home. Opt for non-flammable and flame-retardant options to keep your home safe. Never leave candles burning: Candles make the holidays special, but they can also pose a serious threat. In fact, there are almost 11,000 candle-related fires each year, resulting in 150 deaths and 1,200 injuries. Never leave candles burning overnight and keep them out of reach of children or pets. Water your tree: Your Christmas tree can also pose a threat. A lack of water can dry out your tree, resulting in a serious fire hazard. Be sure your tree has adequate amounts of water during the holidays. Find a safe place for your dog if it doesn’t do well with visitors or small children. The CDC notes that 4.5 million Americans suffer from dog bites each year. Small children are particularly susceptible because they don’t always know not to make sudden movements or poke fingers and hands at dog’s faces. 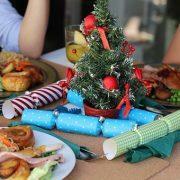 There are two things to take into consideration when preparing for a holiday meal. First, be sure to safely prepare your food. Always cook chicken and turkey until it reaches an internal temperature of 165 degrees. This will destroy all bacteria and foodborne illnesses and prevent your guests from getting sick. Second, never leave your kitchen unattended while in use. The American Red Cross found that cooking fires are the leading cause of home fires and related injuries. If you have spare bedrooms, offer the additional space to guests. You can also prevent over indulgence by limiting the amount of alcohol served during your holiday gatherings. There are many other ways to ensure that your holidays are safe and fun, but these are just a few of the essential tips that will prevent a holiday disaster. 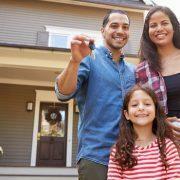 According to Realtor.com® NETWORK Trends, low mortgage rates are becoming a thing of the past. 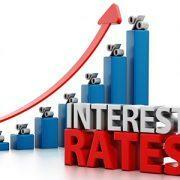 Rates are now up over 4% which is higher than we have seen in the last two years! Meaning we are moving from a lower inflation economy to one that is higher. And this is why. The return to investors on long-term bonds and mortgages will be less attractive when inflation picks up, leading to lower prices for bonds therefore interest rates must rise! What should you do? 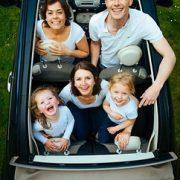 Shop around with multiple lenders for the best deals on interest rates and lowest closing costs. Ask for discounts especially if you already have a relationship with a lender. 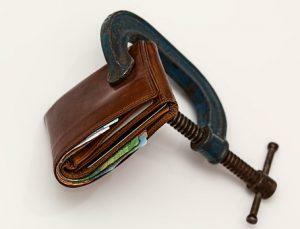 Improve your credit score. You can also pay for a discounted rate, put more money down and negotiate harder for a better price on the home of your choice. 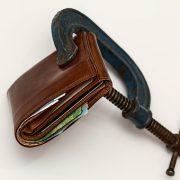 The good news is loans are getting easier to get if you are a good credit risk! http://genebrazzell.com/wp-content/uploads/2016/12/Credit-Squeeze.jpg 340 445 Gene http://genebrazzell.com/wp-content/uploads/2017/02/Gene-Brazzell-MR-Realty-Real-Estate-Lexington-SC-300x139.png Gene2016-12-10 18:46:492017-03-22 01:45:49Going! Going! Gone! 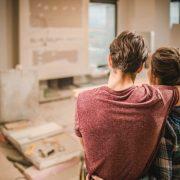 According to RISMedia housecall not all home renovations are equal! 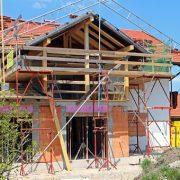 ROI or return on investment is different for every upgrade or renovation that you might consider. This is especially important if you are considering doing this to make your home more appealing. Prospective buyers will usually focus on the kitchen and the bathrooms. A kitchen that is budgeted for 6 to 10 percent of the total home value will get you the highest ROI. This makes the kitchen the best room in the house to make ready for selling your home. If you are interested in the simplest and most inexpensive renovation ideas, focus on these. http://genebrazzell.com/wp-content/uploads/2016/12/Renovations.jpg 340 517 Gene http://genebrazzell.com/wp-content/uploads/2017/02/Gene-Brazzell-MR-Realty-Real-Estate-Lexington-SC-300x139.png Gene2016-12-09 19:16:142017-03-22 01:46:36Renovations That Pay!